The Heimbourg vineyard is located on the west facing side of hill detached from the mountains. Limestone soils on the village of Turckheim can only be found between the narrow fault lines on the eastern side of the Grand Cru Brand. From there, crossing the Muschelkalk (Boland) and Keuper (Clos Jebsal) is quick as these formations are very narrow and small, before entering in the Heimbourg which lies on the youngest soils made of calcareous conglomerate from the Oligocen period. The limestone is very active and the vines struggle to grow on this steep vineyard. Heimbourg is a very precocious site, and it is often difficult to estimate the ripeness of the grapes properly. Harvesting them overripe is easy. In 2016 the grapes remained very healthy, and because the alcohol potential of the grapes increased slowly, it was actually easy for once to harvest the grapes at the perfect ripeness. The wine finished to ferment dry after a long fermentation period of over a year. 2/2018: bright yellow colour. This vineyard is strongly influenced by the sun and the wine shows it on the nose. There is always a strong sense of ripeness and plenitude and it shows strong fruit aromatics. The palate is ample, not shy, with a great energy. 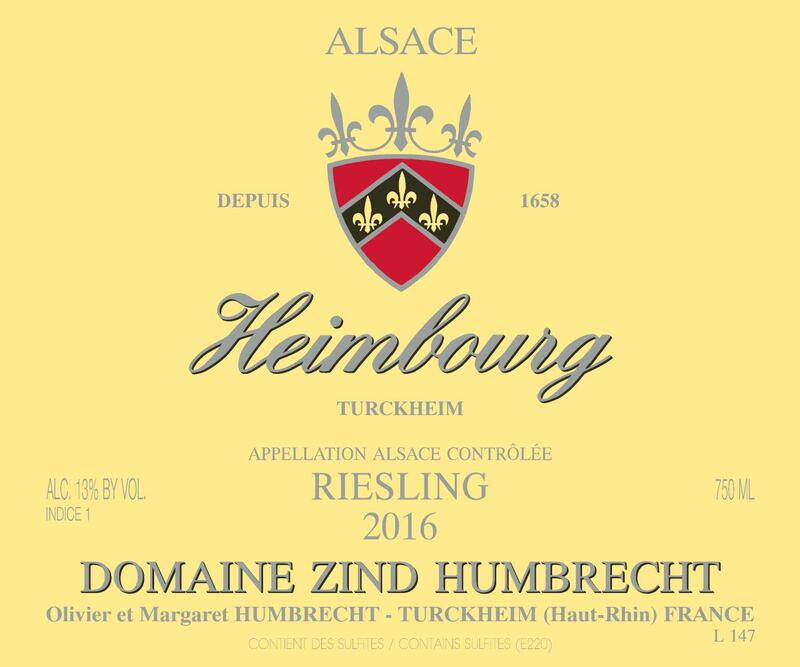 The Heimbourg delivered a beautiful wine in 2016. The finish feels very dry, but not aggressive. This wine really wants to have a long conversation with the taster and keeps adding new sensations after each sip. It is built to age, so please try to keep some bottles for a certain number of years.